If you are in office or school where you cannot watch live cricket match, then Live Cricket Scoring App is best for you where you can get Live Stats of Cricket. 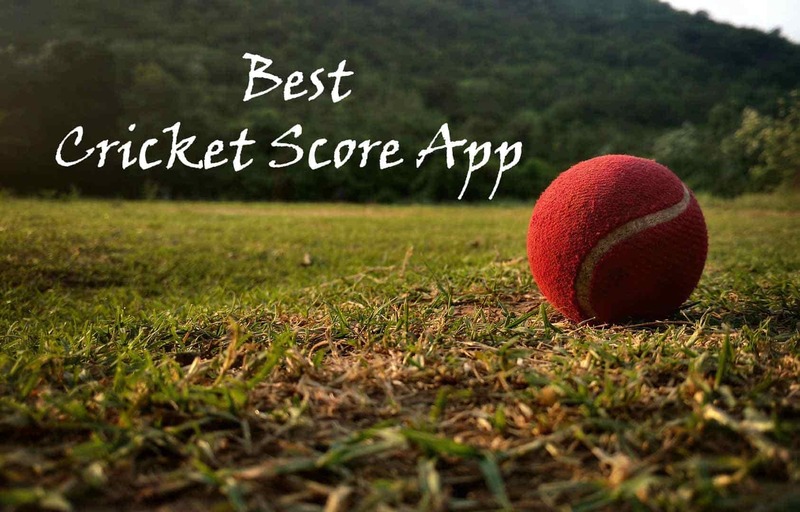 So, today in this Article, I’m going to Share the list of Top 11 Best Cricket Score App to Check Live Cricket Score. Everyone love watching cricket but for some reason, if you are unable to watch live Cricket match or live IPL Cricket match, then you must use the fastest live Cricket score app to get all the latest updates of Cricket. Live Cricket Stats App is one of the Best Cricket App for Android & iOS where you can get each and every ball update. In most of the Apps, you can also Watch Live Cricket Videos and listen to Commentary. These Live Cricket Score Checker Apps are best for those who have a 2G Internet connection and have slow internet speed. So, they can use any of these apps and get the update for each and every ball and over. So, without wasting more time, let’s proceed further and check out the list of 13 Best Cricket Score Apps For Android & iOS. Cricbuzz is one of the most popular and Best Live Cricket Scores App for Android & iOS Device. With the App, you can get all the Cricket related updates. On this App, you’ll get superfast scores and commentary for every Cricket match including IPL Match. The App gives the fastest ball by ball scores and commentary so that you never miss even a single ball update. Apart from this, you’ll get many other features in this app including Live Match Notification, Schedules of the upcoming match, Scoreboard, Player Profile, Quick access from Widget, Dark Theme, etc. As the name suggests, this is an App specially designed for Cricket. ESPN also have another app where you can get all sports update but this app is especially for Cricket. In the App, you can get all the Cricket related news, videos, updates, match stats and much more from all over the world. Moreover, you can follow your favorite team, get live ball by ball commentary, fastest scores, check the scoreboard, Cricket videos and news and many more things related to Cricket. Another Best Cricket Real-Time Scoring App in the list is ICC Cricket. With this App, you can get all the Cricket Match related news and updates. You can create a new account on the app and personalize your experience by selecting your favorite team and customizing settings. You’ll get all the live ball by ball commentary on this app. Just select the match and get live scores and live commentary. Apart from this, you can also watch Cricket related videos, interviews and also check the latest player and team ranking. Sportskeeda is a Sports App to get Sports Live Score, News & Stats. Not only Cricket but here you can get all other sports scores as well. Here, you can pick your favorite team and you’ll get ball by ball live score of the match. If you love reading articles related to sports, then here you’ll get 100+ Daily Articles related to Sports to keep you updated. Apart from Cricket, there are 30+ other sports to follow including Football, Tennis, Basketball, Pro Wrestling, F1, Badminton, and many others. Cricket Mazza is basically an all-in-one app where you can get live score update, ball to ball commentary, Cricket news, match schedules, and many more Cricket related things. The app is simple and easy to use and comes with an attractive UI. On the home page, you can check the live matches and upcoming matches. Moreover, you can get all the player information, match stats, upcoming match information, rankings, statistics, records, etc. Another Best Cricket Live Score Checker App in the list is CricHeroes. CricHeroes is one of the Best Cricket Scoring App to check the live scores of every cricket match. You can enjoy ball to ball live Cricket scores with commentary of your match. The best thing about the app is, you can also live stream the Cricket match. Furthermore, you can watch Cricket related videos, read articles, create your own profile in the app, check match stats and yes check live scores as well. If you want to check all the cricket scores including 20-20, One Day International, Test Match and IPL Match, then this App is perfect for you. You can get all the latest cricket update about International and Domestic Cricket series like Indian T20, World T20, Asia Cup, Champions League, ODI, Ashes, IPL, and all the major Cricket Tournaments. Apart from this, you can check all the ball by ball live scores and commentary of the match. 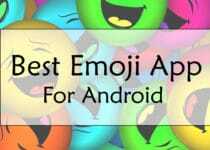 Overall, this is another Best Live Cricket App for Android. Check Most Runs, Most Wickets, Most Sixes, etc. CricketNext is another app to get superfast live scorecard and ball by ball commentary. You can check live scores and all the Cricket stats in this app. The UI of the app is simple and easy to use where you just have to select the match and you’ll get all the updates related to the match including live scores. With this, you can also check player stats, match stats, ongoing match, upcoming match and many Cricket related news and videos. Yahoo Cricket Score App is one of the Best Lightning Fast Scores App for Android & iOS. The UI of the app is simple and easy to use. With the app, you can check the In-Depth Analysis and Stats of the match. The app supports multiple languages where you can enjoy the Cricket game in your favourite language. Additionally, you’ll get the fastest live ball-by-ball commentary with infographics, match notifications, Cricket related news and videos, match stats, player stats and many other things related to Cricket. Cricitch App lets you check the live score of any Cricket match in the world. You can check live score of ODI Match, Test Match, 20-20 Match and even IPL Match. The app also lets you check the live match and upcoming match and you can also set a reminder for the upcoming match so that you don’t miss it. Checking player stats, match stats and reading Cricket related news is another plus point of the app. Overall, this could be another great Cricket app faster than TV for checking scores and stats. Why just check the score when you can watch live Cricket Match Online? Yes, Hotstar is an app where you can watch all the live sports including Cricket. Hotstar is one of the most popular and Best Live Cricket Streaming App where you can not only Check live Scores but also Watch Live Match in HD. Basically, this is an App where you can watch movies, TV shows, news, all the sports including Cricket, Football, Tennis, Hockey, Badminton and many other. This was the Article On 11 Best Cricket Score App to Check Live Cricket Score. Apart from this, there are many other Best Cricket Scoreboard App but here I’ve shared the most popular and best out of them. You can use this Cricket Score Watching App to check the Live Cricket Score and Ball by Ball Commentary of the Match. Moreover, you can also read Articles & News related to Cricket and Watch Videos Related to Cricket. Hope you liked this Article On Best Cricket Score App. Do Comment below if you know any other Best Free Cricket App. Stay tuned with us for more latest Tricks & Updates.